This show is a milestone or something. It was the first show I saw after being in the hospital for a day, the last show RJ booked (I think, maybe? 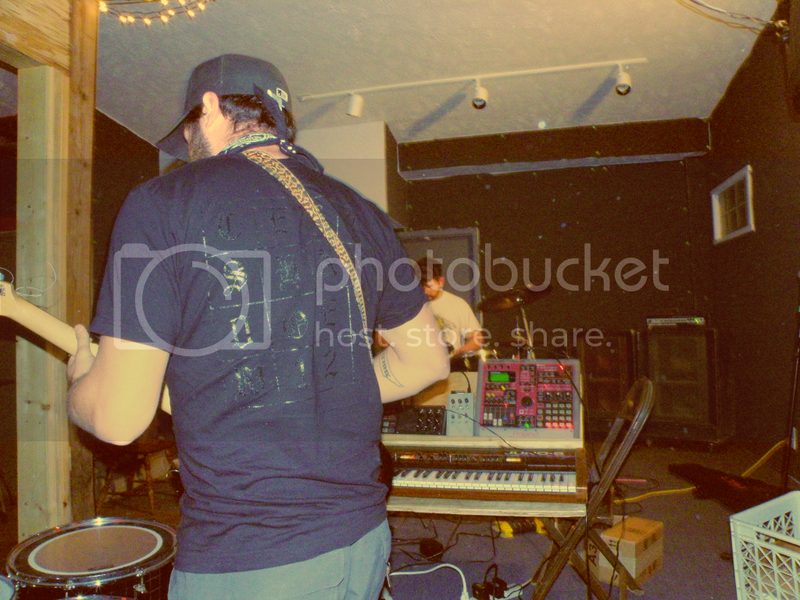 ), and the return of Peter J Woods who played at the Shop in 2011. 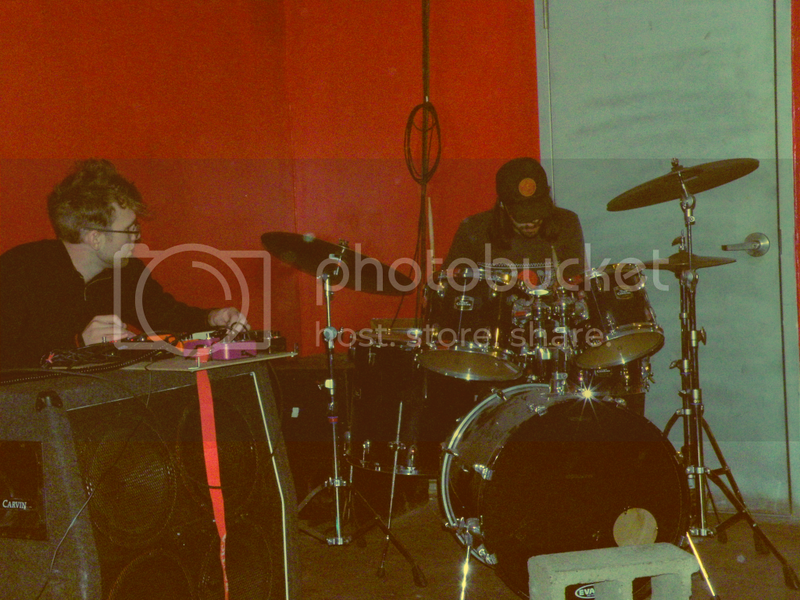 I missed Wasp Nest Head Dress, but I saw about half of Ken Kaminski's cool set with a drummer. 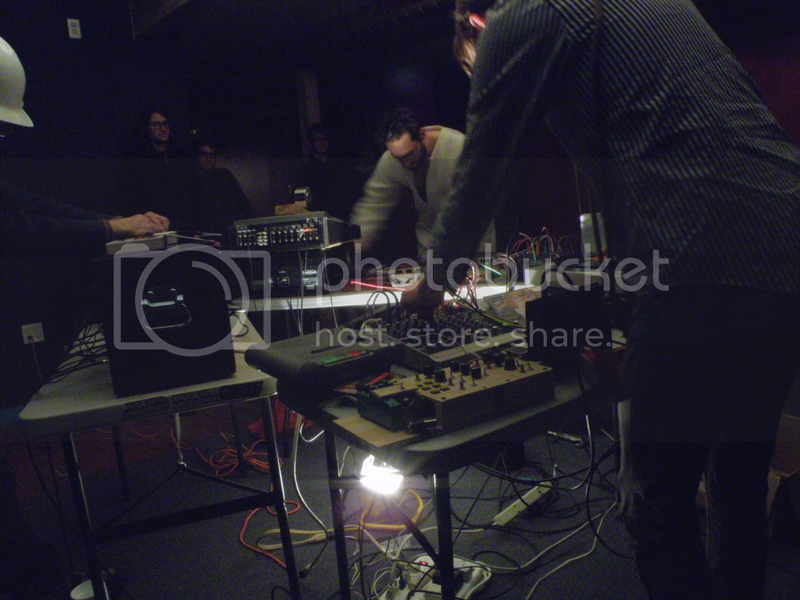 It was not like his previous set with a drummer: more psychedelic and less no-wave. The slow drums fused with pulsing beams from a phaser that grew and grew and growled. The two worked well together, creating what was basically no guitar sludge rock. Super cool (there were even solos)! Triangle & Rhino played next, opening with a slow synth piece that featured the cries of dying monsters, but built up into a somewhat faster beat of steady drums and carnival organs. I remember thinking it was really boring, but the recording sounds awesome. The next song featured distorted vocals, sirens, and electronic beats. This continued into the next song before Jake took up his guitar. Triangle & Rhino played some fast sludge stuff that got mathy towards the end. The last song returned to synths again. It was a good set! Finally there was Phoned Nil Trio which is kind of like a noise Village People; each member wore a crazy costume and used weird instruments. Peter J Woods used a sword and a coffee pot provided some cool rumblings. There were screeching tapes, machinery drones, and things that sounded like backwards warping children. 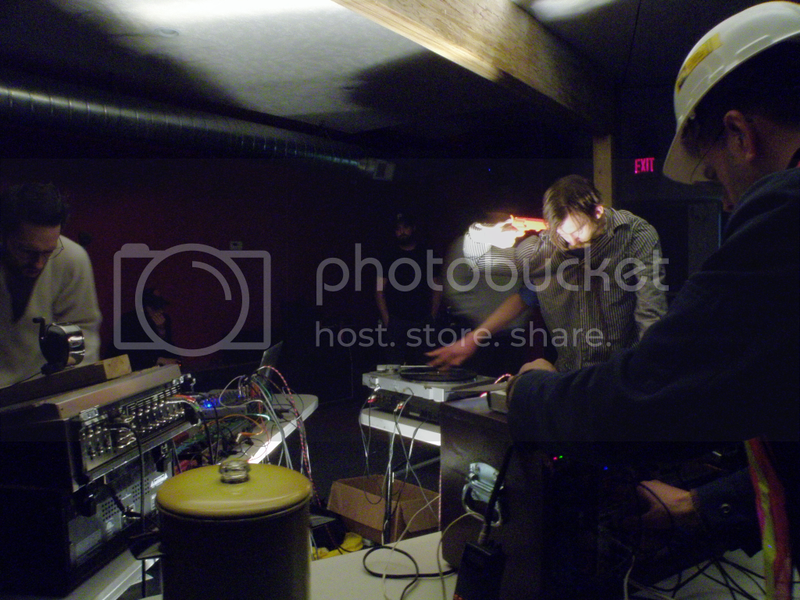 Things got loud at times with dying keyboards and alarms, distorted watery noises and fuzz. At the end Phoned Nil Trio yelled about the coffee as it finished brewing as their noise climaxed. Apparently it was very good tasting according to everybody I talked to.